Shoppers wandered down Main Street in Polson taking part in Small Business Saturday. 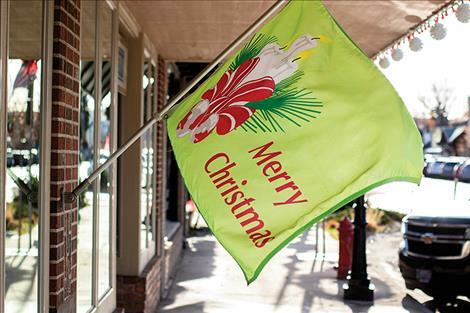 POLSON – The turkey and pumpkin pie had probably worn off by Saturday, so people were ready for a round of shopping on Small Business Saturday. In recent years, the Saturday after Black Friday has become officially known as Small Business Saturday, which is a day when consumers are encouraged to visit small local shops, instead of large corporate retailers. Small Business Saturday is relatively new compared to its big-box brother, Black Friday, and has grown into a significant event in its own right. Created almost a decade ago, the nationwide event was organized by credit-card company American Express, as a way to support all types of locally owned businesses. Polson businesses saw an extra boost in customers on Saturday. A steady stream of customers came into the Sandpiper Gallery on the special day of shopping looking for that personalized gift you can’t find in a box store. “We have definitely seen an increase in traffic today,” said Sandpiper Gallery President Olivia Olsen. The local economic impact is huge. 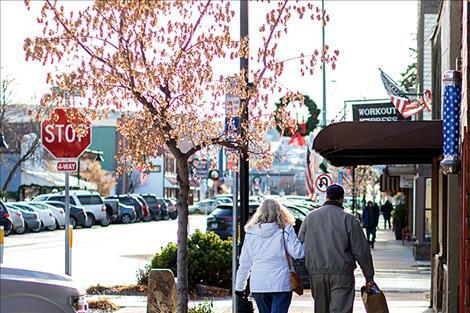 A new study done by American Express found that two-thirds of every dollar spent by shopping locally on Small Business Saturday stays in the local community where it was spent.